What is full converter? What is dual converter? When positive as well as negative half cycles of the supply are rectified, it is called full converter. When the polarities of output voltage as well as current can be reversed then it is said to be dual converter. It operates in all the four quadrants of the VO – IO plain. What are the advantages and disadvantages of buck/boost regulator? What is the function of free wheeling diode in semiconverter? 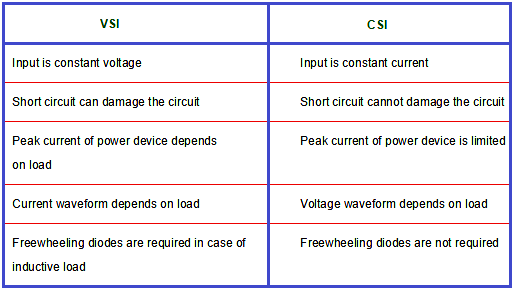 When the load is inductive, the load current circulates through free wheeling diode. Actually, the semiconverter have the inherent freewheeling. This freewheeling can take place through one SCR and one diode. But if separate freewheeling diode is used, then freewheeling takes place through that free wheeling diode itself. This reduces losses that takes place in SCR and diode. They have high efficiencies, since device losses are reduced. Output waveforms are not sinusoidal. What the two types of AC voltage controllers? which one these is preferred and why? In this type of controller, the full input voltage is applied to output for some number of cycles and no voltage is applied to output for some number of cycles. In this control, output voltage waveform is discontinuous and contains large ripple. In phase angle control, each half cycle of the source voltage is applied partially or fully to the load. Firing angle of the SCRs is charged to control output voltage. Output voltage waveform is continuous but phase controlled. The type of AC controller which is highly preferred is Phase angle control, because it contains less ripple and discontinuities in output. What are the effects of load inductance on the performance of an AC voltage controller? The load inductance makes the output current to flow continuously. 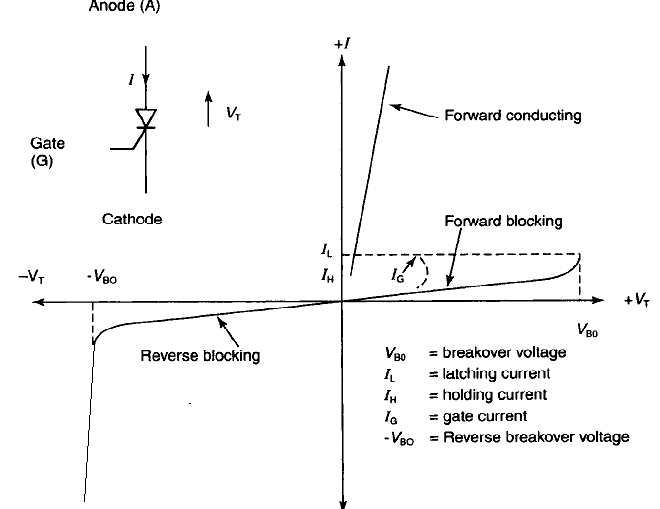 Holding current is the minimum forward current that flows through the SCR to keep it in forward conduction mode. When forward current reduces below holding current, SCR turns off. It indicates the amount by which the sting is utilized. In PWM the output voltage can be varied by changing the ON pulse width of the switching devices. Define modulation index of PWM. What is its use? The ratio of amplitude of reference signal to amplitude of carrier signal is given as modulation index of PWM. Modulation index determines the RMS value of the output voltage. As modulation index increase, RMS value of output also increase. What are the control strategies of chopper? Fast recovery diodes have the reverse recovery time of the order of 25-100nS. Fast recovery diode consists of a highly doped P type and n+ type layers sandwiched by a lightly doped n– layer. The thickness of n– layer is increased to increase the voltage blocking capacity. The reverse recovery time is reduced by reducing the stored charge in the neutral and minimizing carrier life time. This is achieved by forming recombination centers in neutral region. For very high frequency applications, PIN diodes are used. Fast recovery diodes have ratings from 1A/50V to 1kA/3kV with reverse recovery time less than 5μS. Latching current is effective at the time of turning ON whereas as holding current is effective at the time of turning OFF the SCR. Latching current is the minimum current that should flow at the time of triggering to turn ON the SCR whereas once the SCR is already in ON state its current should not reduce below holding current otherwise it turns OFF. Latching current is greater than holding current even though their magnitudes are much related. Why is pulse triggering preferred over RC triggering? The SCR has small turn ON time ie, upto 5uS. Hence a pulse of gate drive is sufficient to turn on the SCRs. Once the SCR turns ON, there is no need of gate drive. Hence gate drive in the form of pulses is suitable. The DC gate voltage and current increases losses in the SCR. Pulsed gate drive has reduced losses. The pulsed gate drive can be easily passed through isolation transformers to isolate SCR and the trigger circuit.